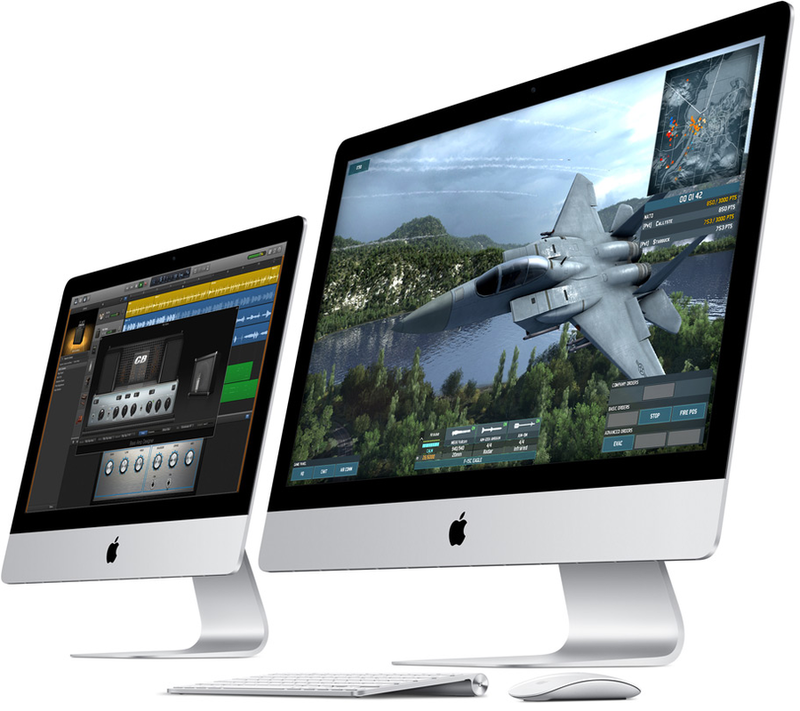 When you’re looking at the gorgeous widescreen iMac display, there’s nothing to distract you. That’s because it’s designed to reduce reflection. And the LCD is right up against the display glass. So you see your photos, games, movies, and everything else in vivid, lifelike detail. 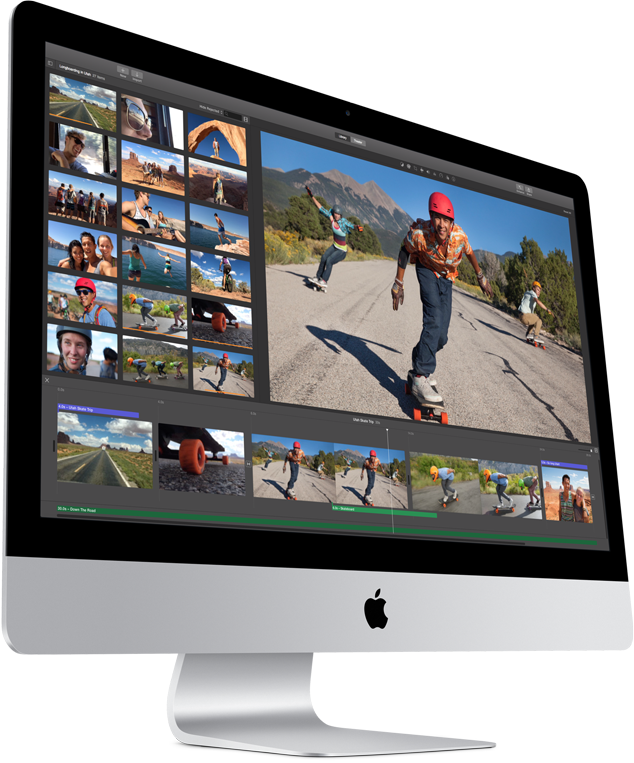 With fourth-generation Intel Core processors, high-speed graphics, Thunderbolt I/O, and an advanced Fusion Drive option, iMac isn’t just visually stunning. It’s also incredibly powerful. Every new Mac comes with iPhoto, iMovie, GarageBand, Pages, Numbers, and Keynote. So you can be creative with your photos, videos, music, documents, spreadsheets, and presentations right from the start. 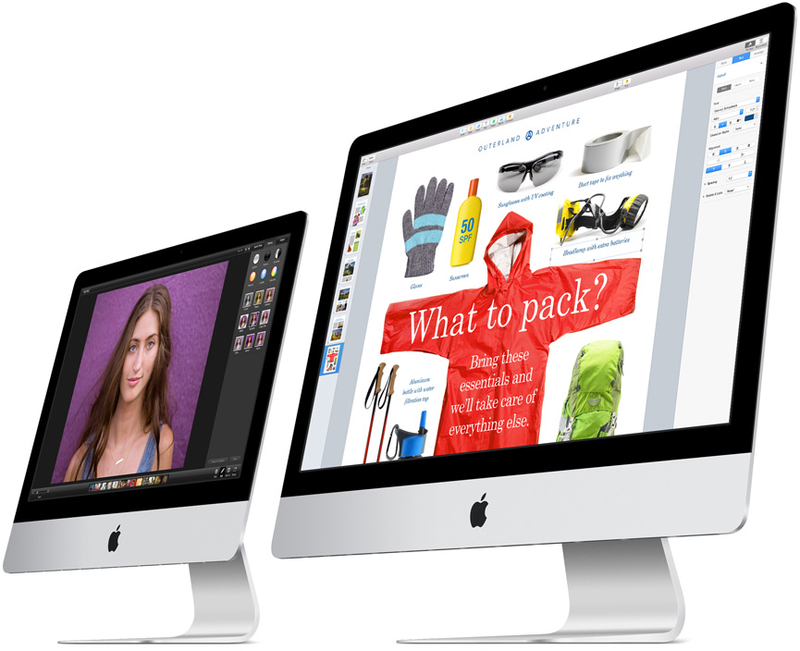 These apps have been updated to match the beautiful design of OS X Yosemite. You also get great apps for email, surfing the web, sending texts, and making FaceTime calls — there’s even an app for finding new apps. 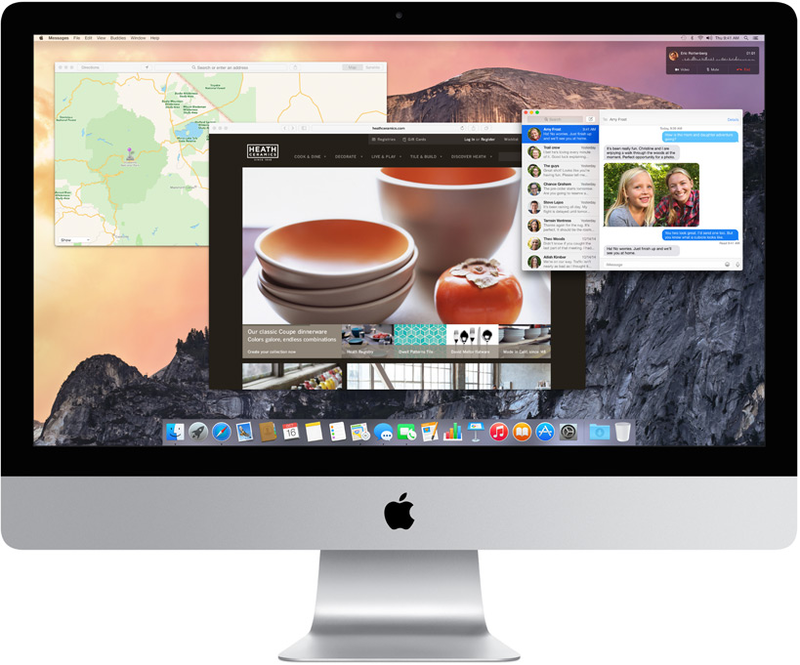 Easy to use, beautiful to look at, and engineered to take full advantage of your Mac hardware, OS X Yosemite is the world’s most advanced desktop operating system. It comes with an amazing collection of apps for the things you do every day. And it’s designed to enable your Mac and iOS devices to work together in amazing ways. 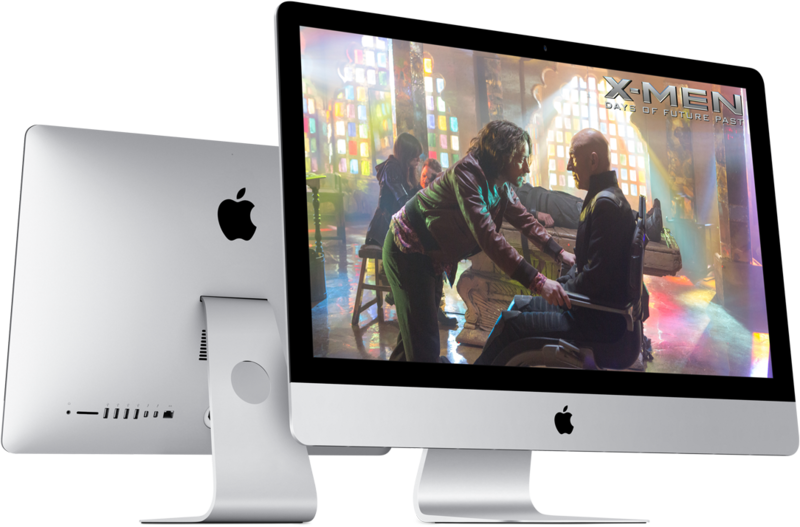 Introducing the new 27-inch iMac with Retina 5K display.